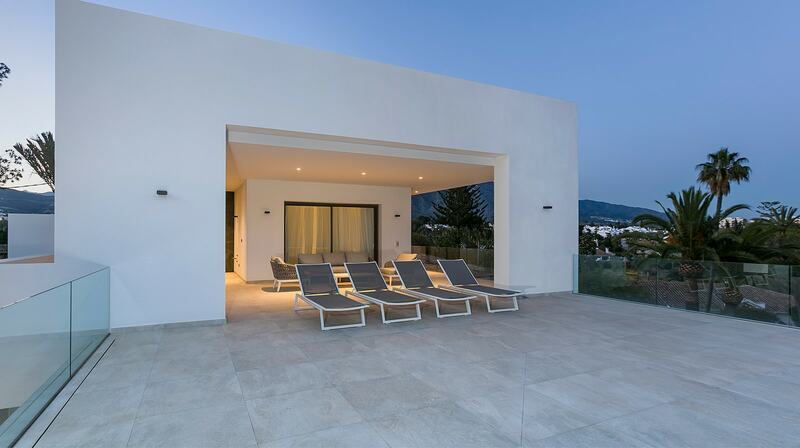 Today we invite you to a journey through one of our new build private family villa projects in Costa del Sol. This modernistic villa was once a bungalow. The designer Sally notes that, “had to be completely torn down because its foundations were irreparable. The project would take more work, yet be a wonderful way to design something completely from scratch. This way we obtain the orientation we need and can make the most of the height,” she says. 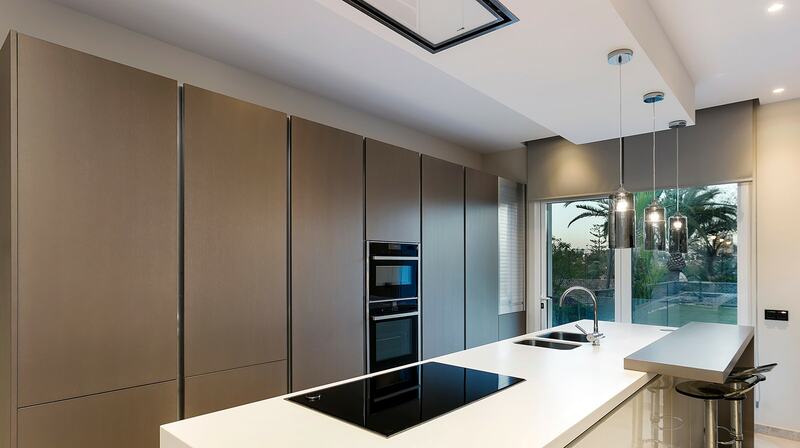 The open kitchen boasts features such as an ivory lacquer island, a hidden extractor, and cabinets in metallic painted lacquer. 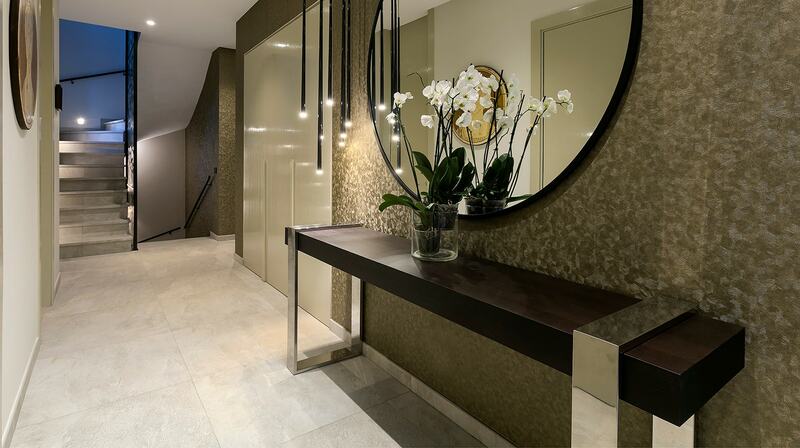 The last one being a new material that lends the furniture a brilliant, polished look. Moreover, the ground floor is fitted with cutting edge technology, including electric blinds and heated flooring. “The first thing you notice when you enter this home is light,” notes Sally. This was made possible by using floor-to-ceiling windows. The main bedroom is spacious and cosy. 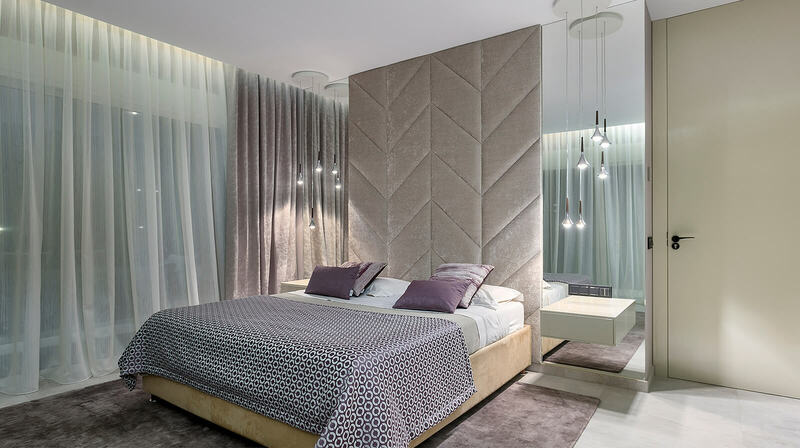 Likewise, the padded herringbone headboard is a symbol of the symbiosis of style and comfort. In addition the glass sliding doors lead out to a spacious terrace, which overlooks the designer ‘dry’ garden. The entire design and construction process was completed 11 months ahead of schedule. This a testimony to the value of relying on the same team for over a decade. We receive many offers from architects, builders, plumbers, etc., but our team works like a Swiss clock. Even if a single member was replaced, it wouldn’t be the same. However, it’s not all about loyalty, but also the efficiency, speed, and reliability that results when a team has been tightly knit.